This photo was taken on November 06, 2012 in Boralla, Colombo, Western, LK, using a Canon IXUS 210. 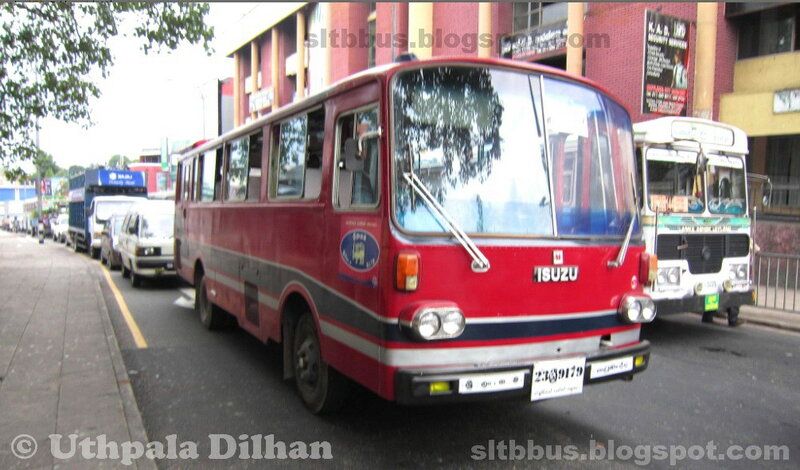 Sri Lanka Transport Board (SLTB) Katubedda depot, Kawasaki bodied ISUZU Journey K bus (23ශ්‍රී9179) at Borella with a special hire of Sri Lanka Army. Imported for the CTB Katubedda Touarist depot in 1977. -- ශ්‍රී ලංකා ගමනාගමන මණ්ඩලයේ (ශ්‍රී ලං.ග.ම.) 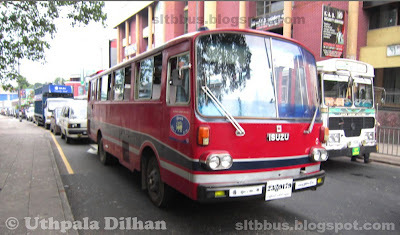 කටුබැද්ද ඩිපෝව යටතේ ධාවනය වන ISUZU Journey K වර්ගයේ බස් රථයක් බොරැල්ලේ දී. 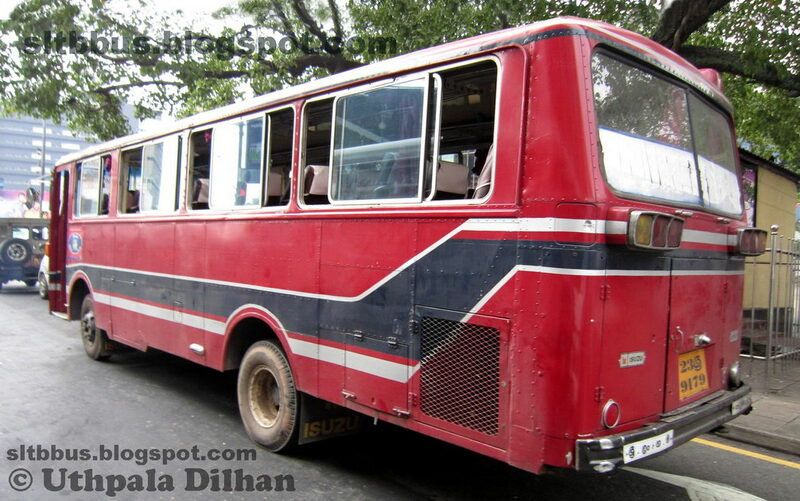 1977 වසරේ දී, කටුබැද්දේ පිහිටි ලංගම විශේෂ සංචාර ඩිපෝව වෙනුවෙන් ආනයනය කර ඇති මෙම බස් රථය සම්පුර්ණයෙන්ම ජපානයේ නිෂ්පාදි අතර රථයේ බඳ ජපානයේ කවසාකී සමාගම මගින් එකලස් කර ඇත. එන්ජිම බසයේ පිටුපස පිහිටා තිබීමද මෙහි විශේෂත්වයකි. ඡායාරූය ලබාගන්නා අවස්ථාවේ යුධ හමුදාව වෙනුවෙන් විශේෂ සේවාවක යෙදෙමින් තිබුණි. naha.. meka 100% made in Japan..